There certainly is a lot to like about Junk King Chico. Eco-friendly disposal policy means that all of your discarded items will be sorted. The teams look for anything they could be dropped off to a charity or recycling center. This could happen automatically it is great to know your stuff will go to waste. Often, homeowners will get excited about a remodel project and forget about taking care of all the debris that will be created as a result of the demolition. That’s easily taken care with one call to Junk King Chico. 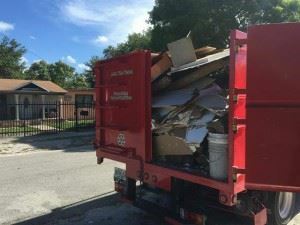 You should always take “before and after” pictures of your Junk King junk removal session. You’ll be amazed at how much your home will be transformed. Junk King will always work around your schedule. The easiest, fastest and most affordable way to get rid of your junk is to hire Junk King Chico today. This entry was posted in Chico Junk Removal and tagged Junk King, junk removal, reviews on September 30, 2017 by Junk King. Last updated October 1, 2017 .